And so another busy year of theatre-going draws to a close. I’ve seen a lot of shows, most of which have been excellent and so I’m preparing an end-of-year review that I’ll post between Christmas and New Year. 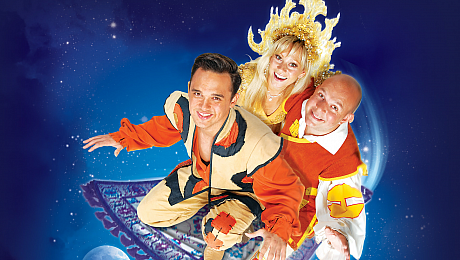 Before that though, I have one more show to see and it’s a biggie: billed as Birmingham’s favourite pantomime, the annual extravaganza at Birmingham’s Hippodrome theatre, Aladdin stars Lee Mead in the title role and, interestingly: housewives’ favourite Marti Pellow in the role of the villain Abanazar. I’m especially looking forward to Julian Clary as (what else?) the Slave of the Ring – Clary was part of Wolverhampton Grand’s perfect panto, Cinderella, twelve months ago, and so my expectations are running high! Will Aladdin make my Best of the Year list? Check my review next Wednesday!